It’s a strange truth: it’s often a lot cheaper to buy a used lens when it’s attached to a camera body. That’s how I got my 50mm f/1.8 Canon EF II lens for just $55, rather than the $100 they normally go for: it came with this Canon EOS Rebel. Cameras like this ask so little of you. Loading film might be the hardest thing about it, and it involves all of putting the cartridge in, stretching the film leader across the back to the red line, and shutting the door. You then turn the camera on, turn the mode dial to P (program), and frame your shot. It isn’t immediately obvious that you should press the shutter button down only halfway and wait for the autofocus beep, and then press it the rest of the way to get the picture. But you’ll pick that up soon enough. The camera even winds the film for you. But the Rebel (or EOS 1000 outside North America) is capable of more, even though it was an entry-level camera upon its 1991 introduction. It offered autofocus and autoexposure across a spray of modes: portrait, landscape, close-up, and sports. It also offers a clever mode called DEP that makes you focus twice — once on the thing nearest to you in your subject, and once on the thing farthest away — and then sets aperture and shutter speed so that everything in between is in focus and properly exposed. The Rebel also offers program, aperture-priority, shutter-priority, and full manual modes. There’s also a Green Zone mode, the green rectangle on the mode dial, which turns the Rebel into a full-on point-and-shoot camera. It differs from program mode mostly in that you can’t adjust exposure or use the scroll wheel to change settings. That’s what the scroll wheel (in front of the LED panel) is for, by the way: adjusting the camera’s chosen exposure settings. The camera shows you its chosen aperture and shutter-speed settings on an LCD panel inside the viewfinder. A whole range of aperture/shutter-speed combinations will deliver equivalent exposure, but with differing depths of field. Turn the scroll wheel until you get the combo you want. You can also adjust exposure up and down, although it’s a little awkward: press the left button on the camera back and turn the scroll wheel. The LCD panel shows you how many stops you’ve adjusted exposure, up to two stops in either direction. Your exposure setting holds until you put it back. The camera’s specs are pretty reasonable: ISO from 25 to 5,000 on DX-coded films, but you can set it manually as low as 6 and as high as 6,400. The shutter operates from 1/1,000 to 30 seconds. The internal light meter has three modes: evaluative, partial, and center-weighted average. It seems to default to evaulative. There’s a self-timer and a hot shoe. One (surprisingly expensive) 2CR5 battery runs it all, and the camera is inert without it. Although I’m happiest using one of my 1970s all-manual SLRs, sometimes I’m in the mood for easy breezy shooting. I saved this camera for just such a day, and I had a great time using it. I loaded good old Fujicolor 200 and got busy. Upon loading film, by the way, the Rebel winds the entire roll onto the takeup spool and pulls each frame back into the film canister as you shoot. The LCD panel shows you the number of shots remaining. I shot a lot of my usual stuff around home and around town, plus scenes from a fall festival and car show up in Zionsville. I found myself frequently using that scroll wheel to adjust exposure for the depth of field I wanted. I really liked that feature. When I finished the roll, I was still enjoying the Rebel, so I loaded one of my precious rolls of discontinued Kodak Plus-X and kept going. I’d love to show you the photos. But I can’t. It turns out the camera is broken: the shutter doesn’t open. I got a long strip of blank Fujicolor negatives from the processor. The camera sounded like it worked all the way through, but nope. When an all-manual camera is broken, you usually know it the first time you press the shutter button. These electronic cameras can really fake you out. Thankfully, I hadn’t sent the Plus-X off for processing yet, so I followed some clever instructions on YouTube to get the film leader out of the canister and will shoot that roll in a different camera soon. It’s a shame, really. This Rebel was a lot of fun. Yes, this guy who loves his all-metal, all-manual cameras really enjoyed shooting the Rebel. I have a couple of Nikon plastic-fantastic 35mm SLRs made at about the same time as this Rebel, but they’re not nearly as much fun to shoot. I don’t get it; these plastic SLRs all seem pretty much alike. But now I can see why so many people choose Canon SLRs: this Rebel is simply charming. Part of the fun …well, sort of fun, when it turns out this way …of trying old cameras you buy on eBay is that you never know what you’re gonna get. But I liked this Rebel so much that I’m thinking about buying another body. They don’t cost much. I might even buy one from KEH or something like that, just to get one known to work. Yeah, the idea of trying to fix one of these guys from the electronic age would seem to be a non-starter. That’s a fact. An all-mechanical camera is a different story. This makes me feel old! We have an EOS Rebel, purchased in 1998 or 1999, that is still hanging around. It hasn’t been used since around 2005 or 2006 as getting prints was becoming a pill and even then they would come back looking washed out, which I blame on the processor. For a simple camera that gave pretty good quality pictures (depending upon processor!) it couldn’t be beat. Well, if it makes you feel any better, this is an awfully new camera for me to be reviewing. Oh, Jim… losing a whole roll of film these days must be more than just frustrating, given how scarce a lot of it has become. It was frustrating, but it is part of the rough-and-tumble of using old cameras, so I pushed through it. I don’t think this camera is worth fixing. You can buy fully working bodies for $20 any day of the week. 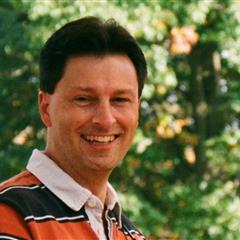 Back in the “film days”, I was managing an advertising photo studio for a big retail store chain. I remember changing almost everything to Canon when autofocus came out, as the Nikon stuff with their dream of holding on to their lens mount, just wasn’t in the same league. Of course, we shot mostly sheet film and Hasselblad, but the Canon “new” autofocus mount made designing high speed auto focus lenses a dream for them, they really made some smart engineering decisions back then, that set them up for the future. Nikon had to stick with that weird ‘screw drive’ autofocus, and then built bodies that worked with both when they finally figured out how to do the Canon style focus. I knew many wedding pros back in the film days that used the Canon Rebel precisely because it did what they wanted, and it was cheap! The technology was changing so fast, and digital was on the horizon, so rather than buy an expensive body, they’d buy the Rebel and use the heck out of it, and if it broke, just buy a new one. 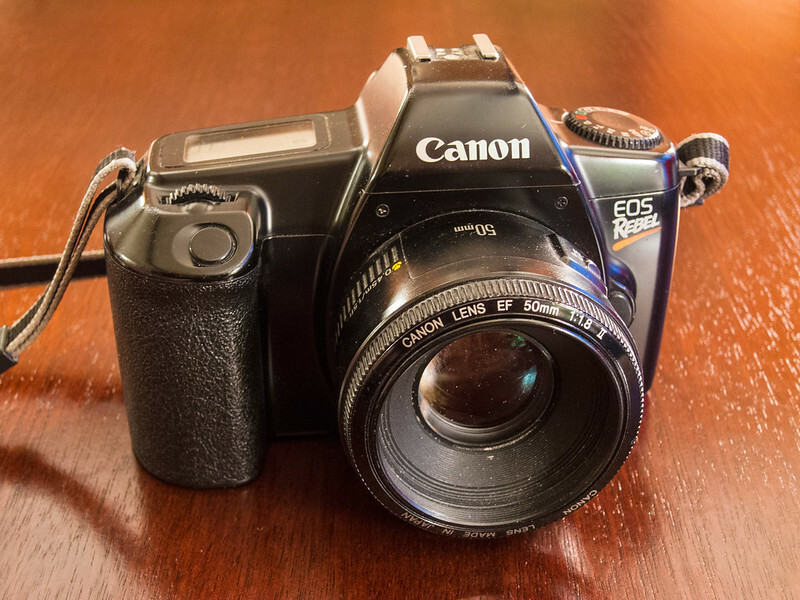 BTW, I had a Canon Elan II that was even more study, and can probably be had at KEH for 50 bucks! I have three EOS bodies, two early ones and this busted Rebel. The early bodies are larger and feel clumsy, and aren’t as pleasant to use as the Rebel. I feel like I need only one good EOS body in my collection. I may just look for another Rebel or a Rebel S and get rid of my other bodies. I can see why Nikon wanted to hang onto its mount, but in the long run Canon was smart to ditch its older mounts and design one for auto-everything cameras. Nice write up Jim, sorry that your shutter didn’t work, I have bought a few dud cameras but that goes with the territory of buying from eBay. I have the 1000F (built in Flash) version of this. Still you got a nice lens out of it. Yeah, I have a bead on a Rebel S, which is what we called the 1000F here in the States, for $17 at KEH. Seriously thinking about it! Yeah, the dud camera was worth it for the lens. Jim, if you’ve never tried the Canon A1, I recommend it. 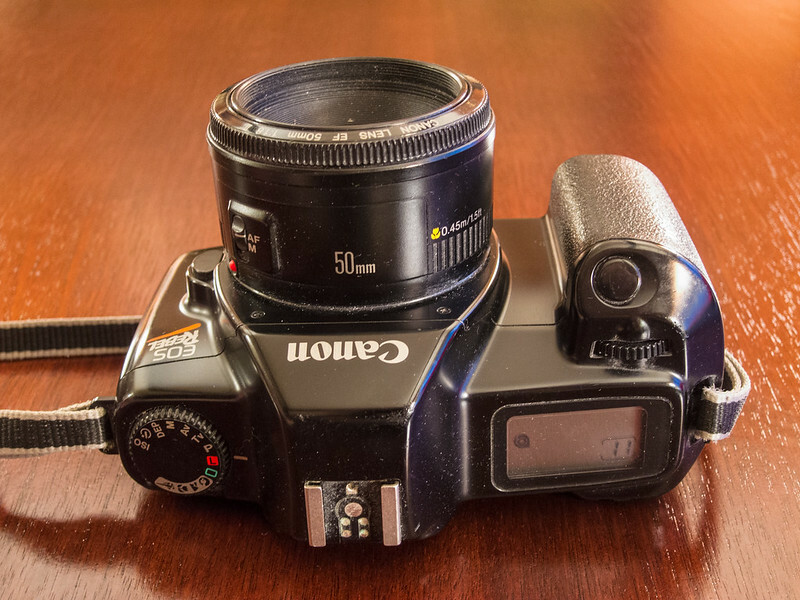 I had one from about 1980 till the mid-90s, when I sold it to buy an autofocus SLR. The A1 took great photos. As I recall, it was one of the few cameras that offered shutter priority when most SLRs only did aperture priority. These days I shoot with an EOS 70D, but I remember the A1 fondly. The A1 is on my list. It’s got a good reputation. Canon was kind of famous for favoring shutter priority, right up until the EOS line came out. Man, you had me going, there! I’ve been considering picking up an EOS body, if only because there are so many adapters out there to put other lenses on the Canon bodies. I could have a camera that mounts every lens I own! Still hate the placement of that wheel though…. I suppose the wheel is a tad awkward to use. But I got over it! Nothing worst than thinking you shot a fantastic roll, and in my case it wasn’t loaded correctly, same potential result, blank roll. yeah. Well, after shooting so many dodgy old cameras, I think I’m starting to get used to it — that is, if “get used to it” means not swearing up a blue streak at the blank negs. I have an EOS 100, EOS 1000FN a and A1. My favourite being the A1. The EOS cameras have a common design fault. The rubber stop inside the body to soften the mirror movement when taking an exposure, deteriorates and “melts” onto the shutter causing it to stick. 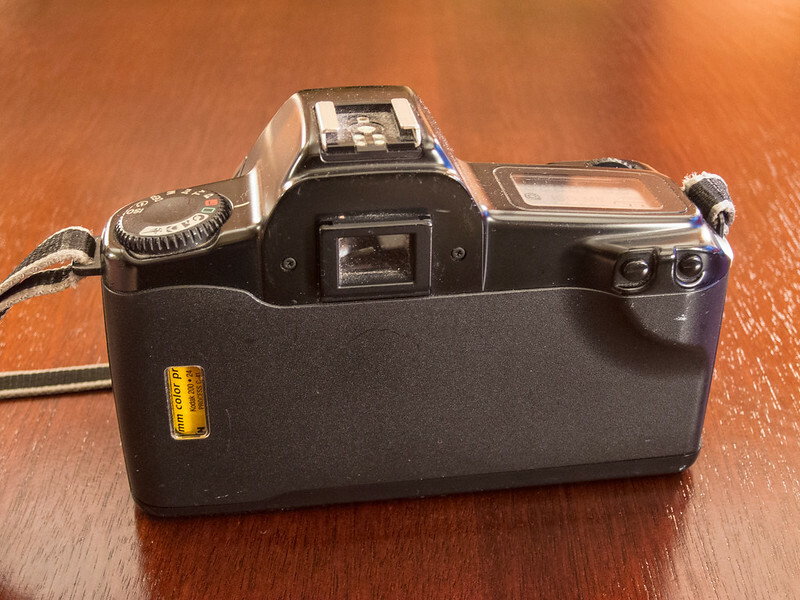 If you get some alcohol or eucalyptus oil and some Q-tips you can remove the gunk from both sides of the shutter and the camera will work as good as new. I do this every 6 months. The A1 by the way has no issues at all. It’s travelled half way across the globe and I just love everything about it. The manual aspect and/or fully automatic control gives the best of both worlds along with the knowledge this camera changed the world of photography forever. I didn’t realise the EOS green zone allowed for change of depth of replied via the option wheel … I’m going to try this out for myself tomorrow. Thanks for sharing. Well glory be. Thanks for showing up and giving me a tip that might restore my Rebel to use. Q-tips and alcohol are exactly the level of repair I’m willing to attempt! The A1 is on my list. I’ll find one at a decent price one day and it shall be mine, oh yes, mine. I have several FD-mount lenses — three of the 50/1.8s (one older with the silver breech-lock band and two newer with the release button on the side) and one 28/3.5, plus a couple non-Canon lenses including a 135mm Vivitar (which is the only one of those I can recall at the moment). And it’s the DEP mode that lets you select the near and far points of the scene! Green mode is just P&S mode.